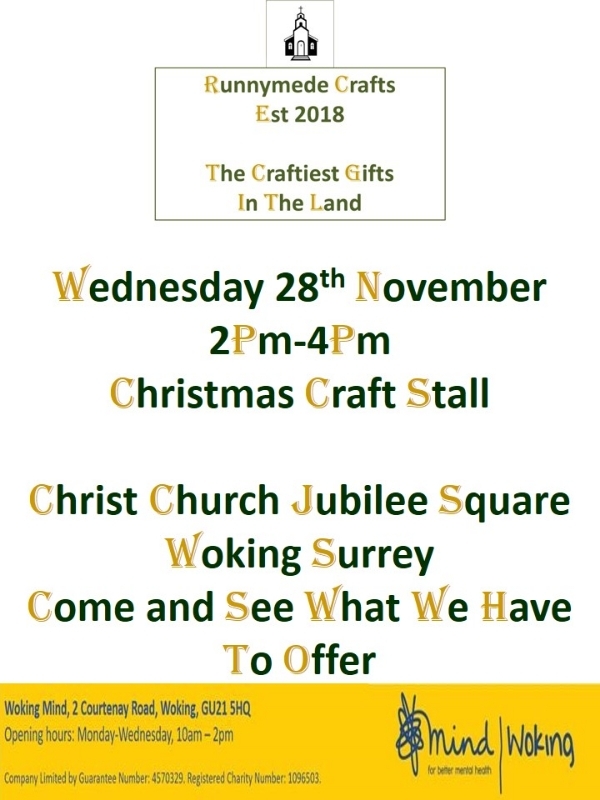 Runnymede Crafts is coming to Woking and helping to support Woking Mind at there Christmas Fair. Join us from 10am-2pm and grab some fine handmade gifts and decorations. 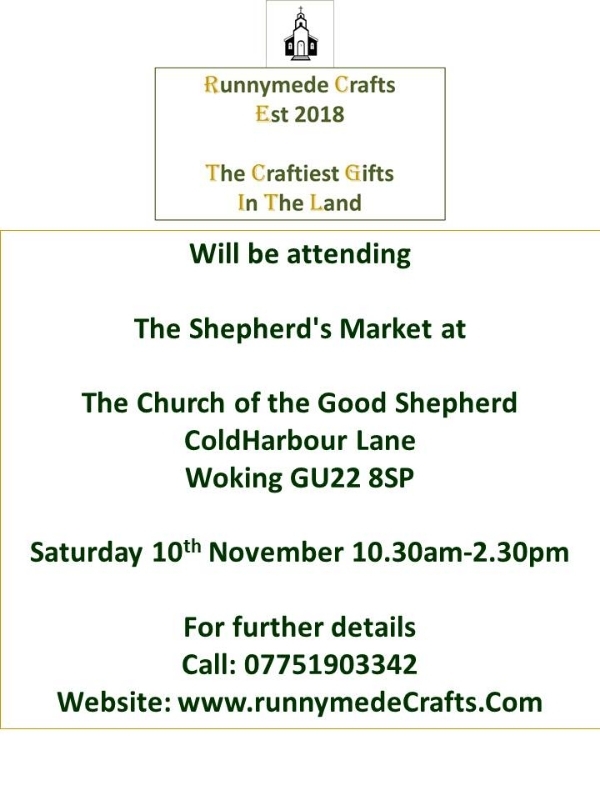 Next Stop for Runnymede Crafts is Church of the Good Shepherd Pyrford for the Shepherds Market. we will have of the usual mix of gifts and decorations for you to choose from. The Christmas craft fun continues with our next stall at Parklands Manor's first Christmas Fair. Come and see our hand made Christmas decorations and gifts. meet the team and say hello. we be happy to see you. on Saturday 17Th November 11am-3pm. 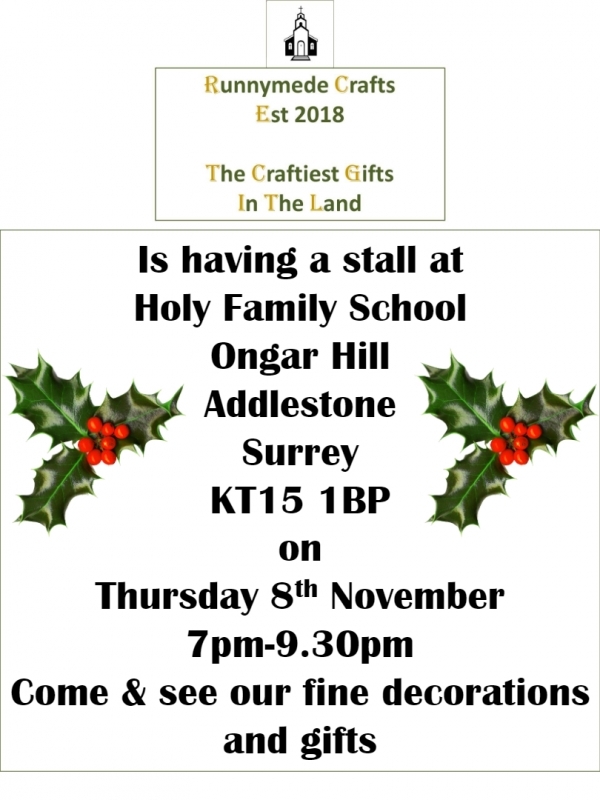 Join us at Holy Family School as Runnymede Crafts get the Christmas season off to a crafty start. We are having a stall at The Holy Family Christmas Eve Event on Thursday 8th December at 7pm-9.30pm. Come and see how we can give your Christmas a little extra sparkle. 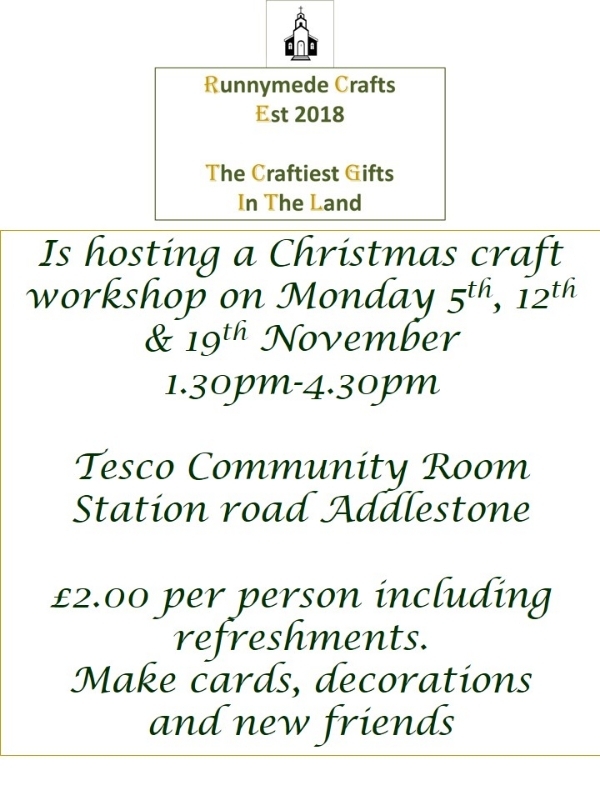 Runnymede Crafts are holding a drop in Christmas workshop at Tesco Addlestone, In place of Underneath the Tree that was sadly cancelled due to lack of students. Our workshop sessions run from 1.30pm-4.30pm and we will be making Christmas decorations for the tree and Christmas cards. Refreshments are included in your £2.00 fee, this is to cover cost of materials. 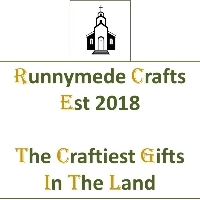 Runnymede Crafts mission to bring a little craft and sparkle to the world continues. 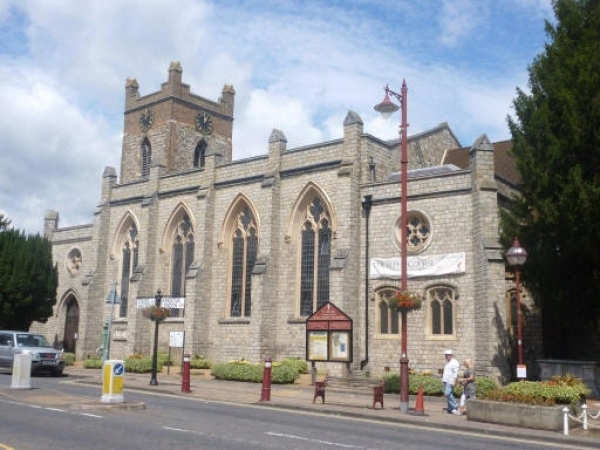 Our next pop up craft sale is at St Peter's Church Chertsey on Saturday 6th October 10am-1pm. You'll find us in the Hall as part of the Harvest Festival. 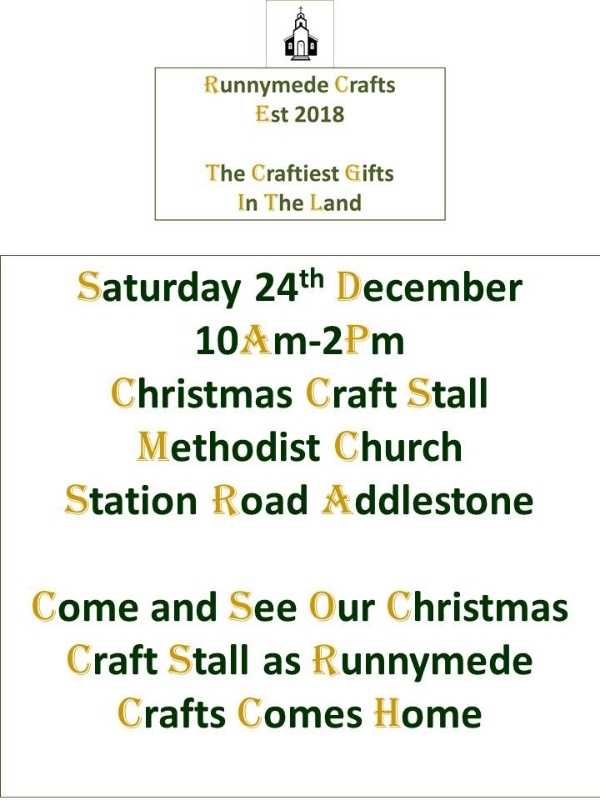 We will be selling hand-decorated mugs and key chains, plus will be taking bookings for our craft course Underneath the Tree. There is parking on the main road and near the cricket ground. Runnymede Crafts are on a mission to bring a little craft and sparkle to the world. So what better place to get your craft on than our pop up craft sales. Our first one is on Sunday 30th September at Addlestone Community Centre Garfield Road. You'll find us in the Mitchell Hall from 1.30pm. admission is free just follow the signs when you arrive. 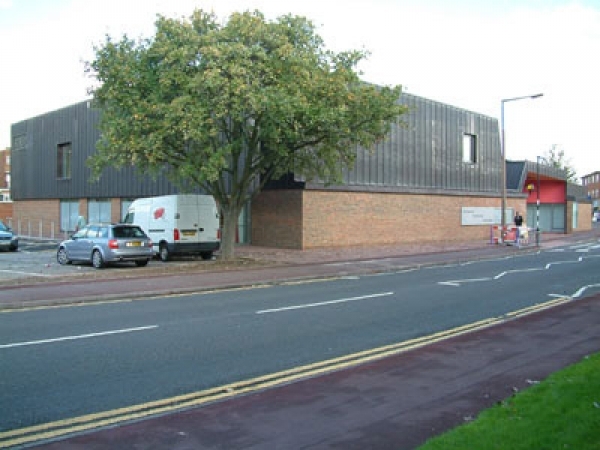 There is limited parking on site with additional parking available at Addlestone One, follow signs from the main road. 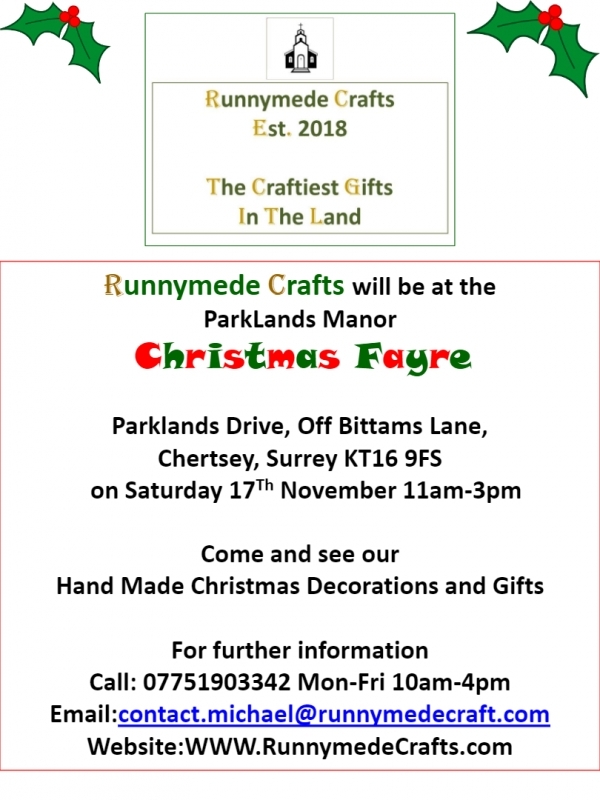 Runnymede Crafts is born today with our first ever craft stall. 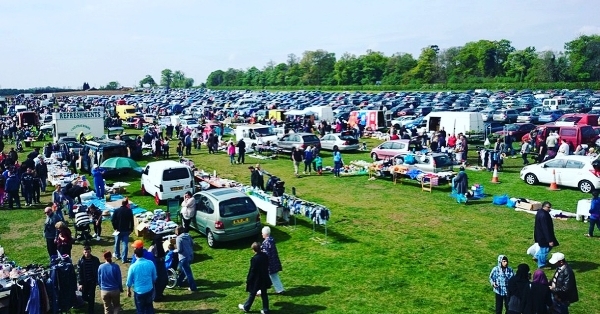 Join us at Apps Court Car Boot Sale on Bank Holiday weekend. We are here for two days with a selection of handmade crafts for sale. 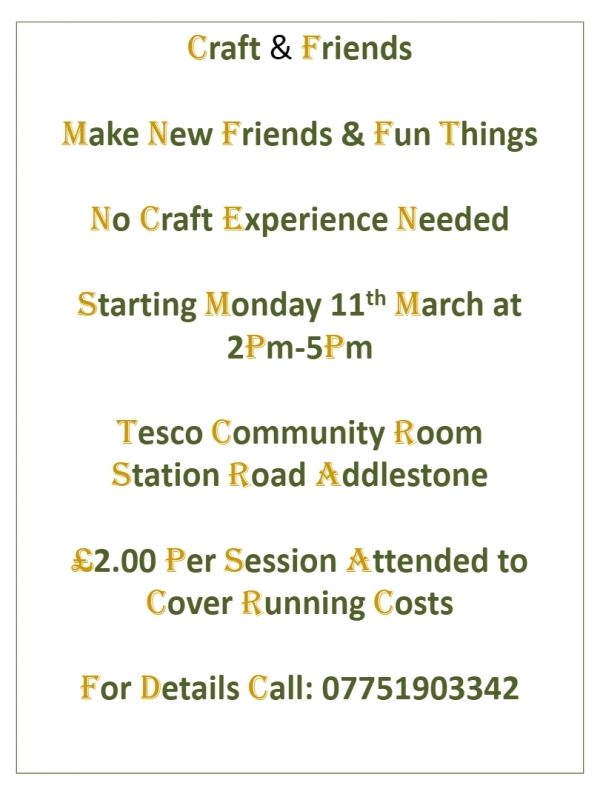 Meet the founder and ask anything you wish about Runnymede Crafts and the many crafty things we have planned for our first year.